We believe a good wine is a wine YOU like. That is why we have a wide variety of wines in every varietal and price point on our self-serve wine bar system. 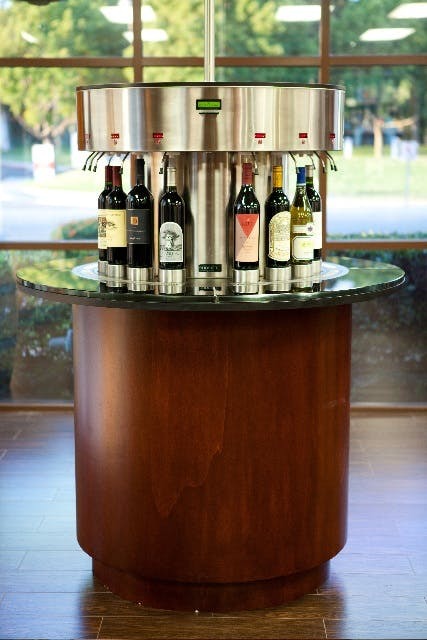 Between our two locations, we have 72 wines on tap for you to choose from! We rotate them often, but some of the most popular wines featured on tap include Caymus, Silver Oak, Cakebread, Rombauer, Justin, Daou, and Belle Glos. We also have 6 craft beers on tap in our Aliso Viejo location for you to enjoy. Cheers!